Are you graduating in summer 2019, or have you graduated within the last two years? Then we have an exciting opportunity in Economic Development and Regeneration ready for you. 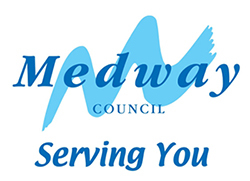 Interviews will be held at the Innovation Centre Medway on 25 April. Deadline for applications 7 April. The postholder will work principally across three key work areas within the Regeneration team: economic development delivery, town centre strategy and management, and regeneration / capital projects. The postholder will support the development, implementation and delivery of a range of related projects and initiatives across Medway. We provide all local Government services for a quarter of a million people, looking after education, environment, social care, housing, planning, business and much more – everything from frontline services such as rubbish collection and events like the Dickens Festival to work that goes on behind the scenes to ensure services in Medway run smoothly and cost effectively. If you would like to have an informal discussion with the recruiting manager please call Jo Cable on 01634 331176. Click here to apply via the Jobs Go Public website.